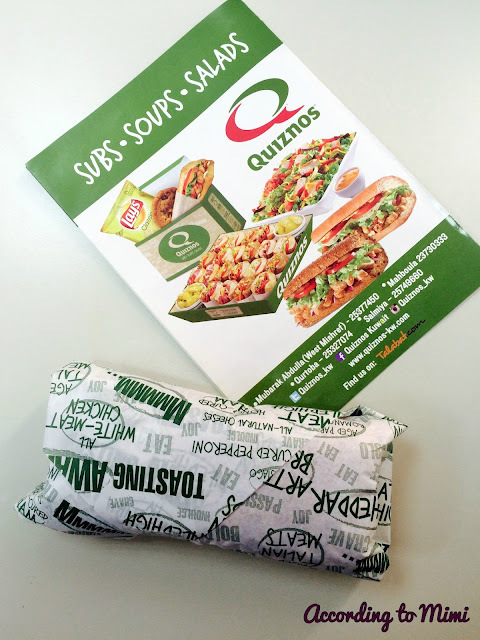 I've always been a subway kind of girl and had never tried Quiznos until they opened up a branch at work and oh boy, I'm so glad they did. Apart from subs, their menu also includes soups, salads, selected beverages and even cookies and brownies. They even have a 500 calorie breakfast menu for some guilt free morning indulging! I'm slowly ticking off each sub from their menu and my favourites so far are the Bistro Steak Melt and the Zesty Bourbon Steak. You get this indescribable inner joy when you bite into their sandwiches. Toasted to perfection and absolutely delicious, their bread is what makes Quiznos stand out from other sub stores. Make sure you ask for the rosemary parmesan bread. 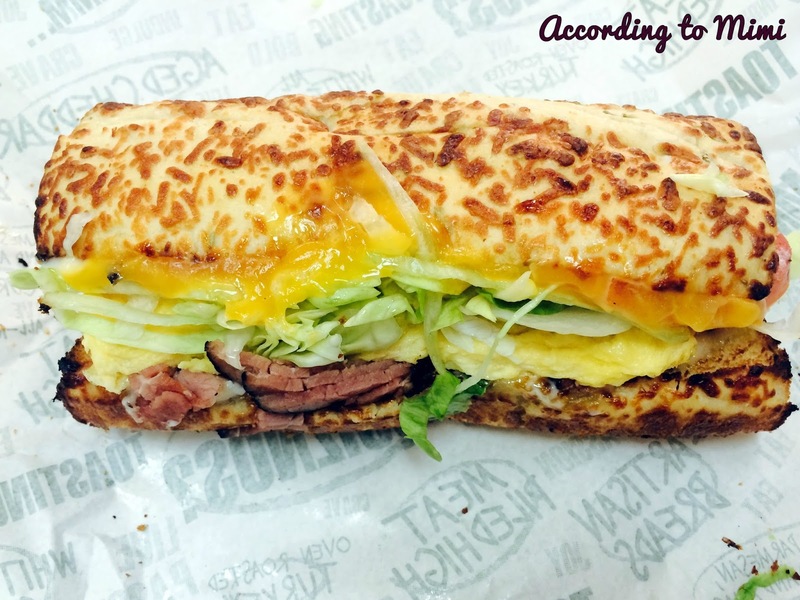 Below is the Steak, Egg & Cheddar Breakfast Sub. They have 4 branches in Kuwait (excluding the ones at various offices) and they're also on Talabat, though I'd recommend dining in as I'm sure (and I'm assuming here) you'd lose some of that hot crispy goodness of the bread while your sandwich is in transit. I just had the same for breakfast...lol. I can't praise their rosemary parmesan bread enough. And their sandwiches are very filling.